and then one stumbles across a pattern in this book called "Bobble Zigzags". I want to keep saying it and saying it! and the idea is to use what one has. The rule - one can only use one's stash unless one runs out of white. One can never have enough white! There, I had to write it one more time to get it out of my system. 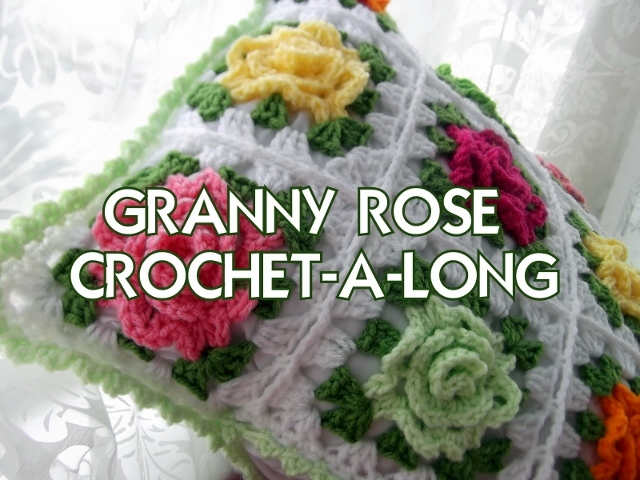 Crochet-A-Long this Tuesday, March 27th. I am in love with the colors and the pattern! I'm going to have to find that book soon to take care of a certain overwhelming collection....thanks for sharing! Love this !!! So pretty ! 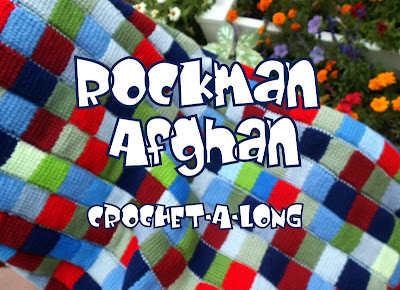 What a fun afghan! Bobble zigzags...that is fun to say! I can't wait to see the finished blanket. Thanks for sharing! Wow Astri, this is stunning! Beautiful colours and a gorgeous pattern. I'm going to see if I can get hold of this book. You have such fabulous yarns in the US.....lucky you! So pretty and a really nice look. Great job! "Zigzag Bobbles" is also intoxicatingly addictive to say. I can't decide which is more fun. That looks amazing. I love the colours you've used it looks bright & cheery. I've been thinking about having a go at making a zigzag afghan, this has really inspired me & once I can achieve that ..... then maybe Bobble Zig Zag!!! How beautiful this is! I've done bobbles & ripples, but never did them together like THIS! It's absolutely gorgeous Astri. Love it! Wooow, that pattern looks so awesome! :D Very summery too; I suspect this will be a big hit when it's finished! Oh my goodness, I never thought a quickly thrown together afghan from the stash would generate so many wonderful comments. Thank you all so very much! Oh wow hon - this is a stunning pattern! I adore it. Was it very tricky to do? Leah - it was quite simple to make. Just sc ripple rows with a bobble row. Lots of fun and it works up fast in spite of it's density. Oh, my, Astri, I love your ripple. I have the book and found the stitch and I don't know if I would have chosen it for a ripple if I hadn't seen yours all finished. It is just stunning...I just love your colors. I have to go to Michaels tomorrow and get some new yarn. I've been inspired. Thank you so much! 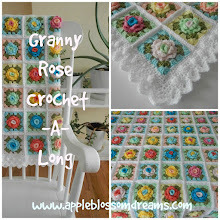 I needed a new project to get me going and ripples are so much fun to do.